We have a few bits and pieces, this week, which should be filed under “co-operative works in progress” – keep an eye on them. A bill respecting the manufacturing of crystal meth, sponsored in the House of Commons by John Weston (Conservative, West Vancouver/Sunshine Coast/Sea-to-Sky Country), very quickly passed second reading in the Senate Monday evening (September 27). That means it will go to an upper chamber committee for further consideration. 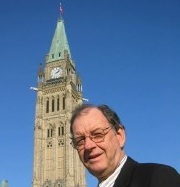 Entitled C-475, the bill is intended to create “a new offence for the procurement of ingredients with the intent to manufacture crystal meth and ecstasy.” The bill was sponsored in the upper chamber by Senator Daniel Lang of the Yukon, a recent Stephen Harper appointee who has long experience in the business community in Whitehorse. But my intention in mentioning this bill is to note that Weston is an MP who bears watching. He is a Harvard-educated lawyer who gained respect for his work on aboriginal and environmental issues before entering politics. And, as it happens, he is also what I would describe as a Christian-faith-based moderate social conservative. And the multi-party Parliamentary Committee on Palliative and Compassionate Care (PCPCC), one of a budding number of such collaborative efforts, seems to be making progress on its agenda. Important specialized advice to palliative care specialists and family doctors worldwide. Vital information for northern and rural doctors in Canada, and medical staff in many third world nations. The PCPCC was set up, in part, to counter pro-euthanasia and assisted suicide legislative initiatives coming from the Bloc Quebecois. Its five co-leaders are NDPer Joe Comartin, who is the chair, Liberals Michelle Simson and Frank Valeriote, and Conservatives Harold Albrecht and Kelly Block. All five are known to either hold faith-based views on the sanctity of life or have an understanding ear for those who do. Researcher Dienesch works in space provided by Albrecht, a former Mennonite pastor and dentist. We are in the middle of a House debate on the long form census – one which I hope can be dispensed with soon, so that matters of the economy can come to the fore. There will also be debates relating to improving the decorum in question period, resulting from proposals initiated by Michael Chong, himself a very civil Conservative MP. As well, the governing side has been putting together MP advisory committees to enable cabinet ministers to listen to their compatriots who might be a little closer to the people than those encumbered by heavy executive duties. In a sense, the idea of governing-party-only advisory committees might seem to be an attempt to bypass what the multi-party standing committees are intended to do. Unfortunately, in a minority parliament, the standing committee system sometimes falls victim to opposition members whose advice is intended to unethically block rather than assist government initiatives. The result tends to be that government standing committee members respond by trying to block the blockers.